It is time for another Designer's Challenge for Karen Burniston's Pop It Ups. 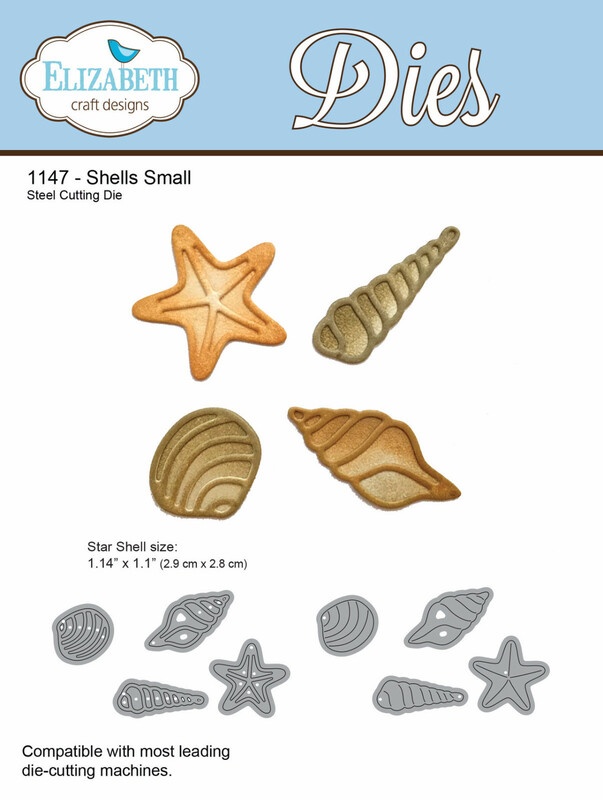 The theme for April is The Great Outdoors. 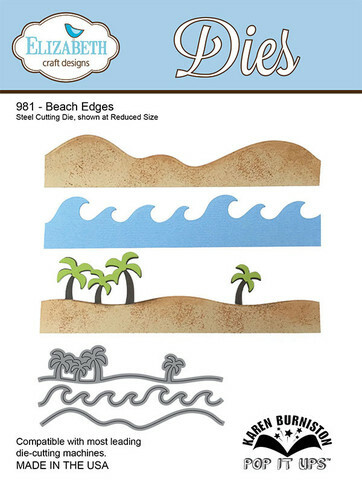 For this months challenge, I decided to make a Beach Rectangle Pull Card. 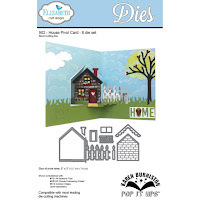 On the front of my card I used the house from the House Pivot Card die. 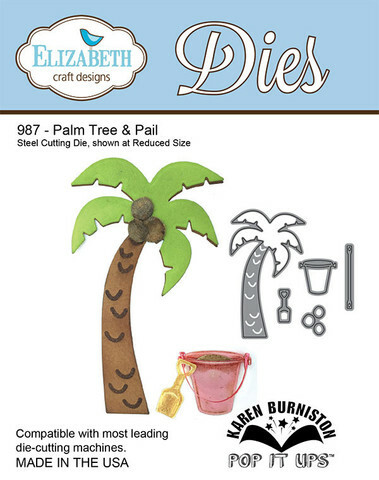 I have also added the Palm Tree from the Palm Tree & Pail die set. 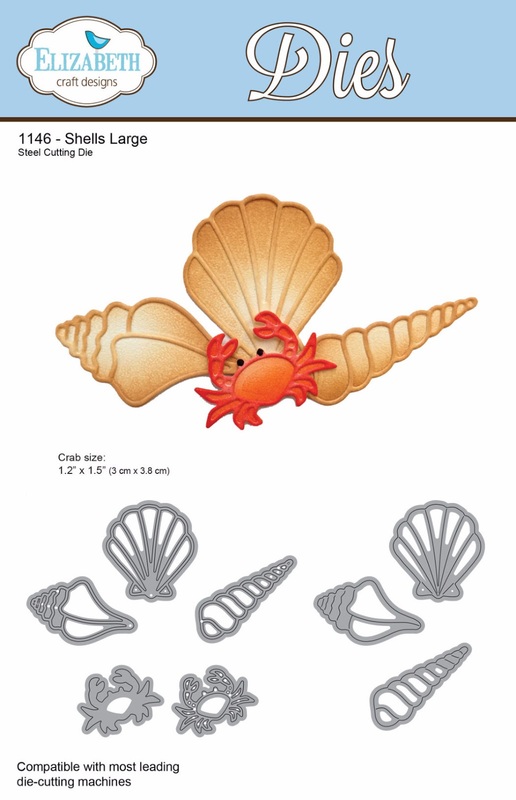 I have also added the crab from Shell Large die set from Elizabeth Craft Designs. 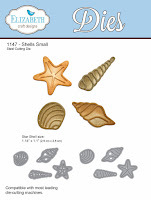 On the inside, I have added shells from the Shells Small die set. 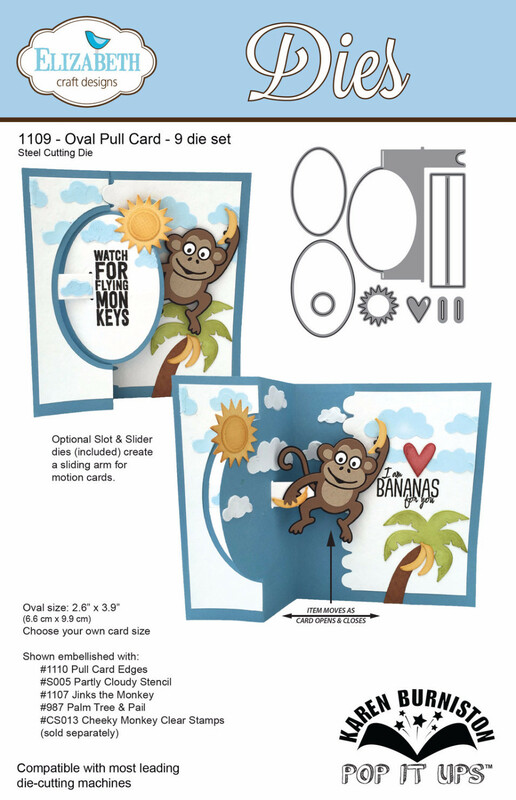 The sun is from the Oval Pull Card die. 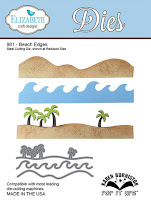 The sand was created with Beach Edges Die set. 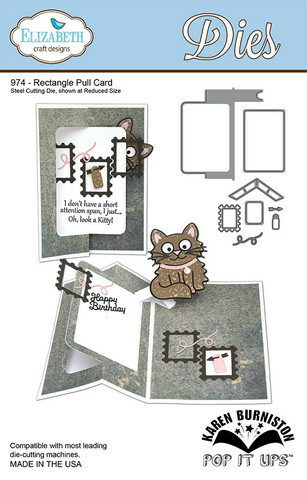 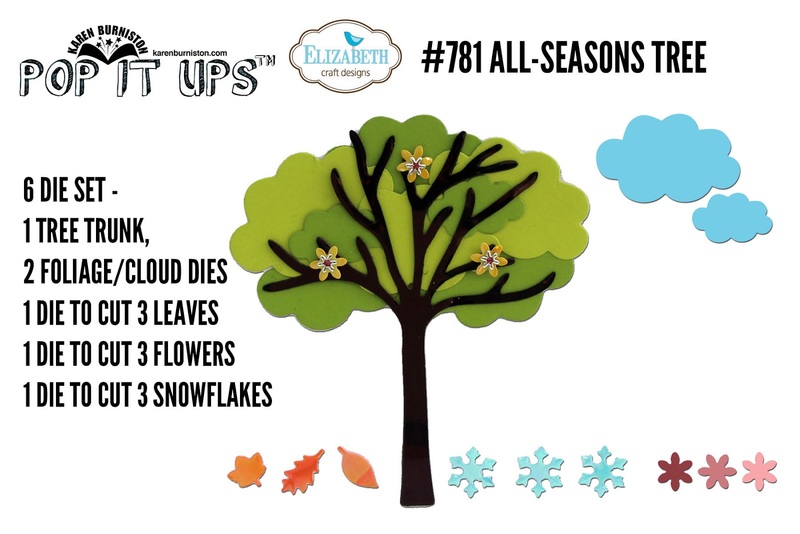 The clouds were made by creating a stencil from the All Seasons Tree die set. 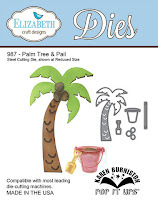 Make sure you stop and check out the other designers projects.